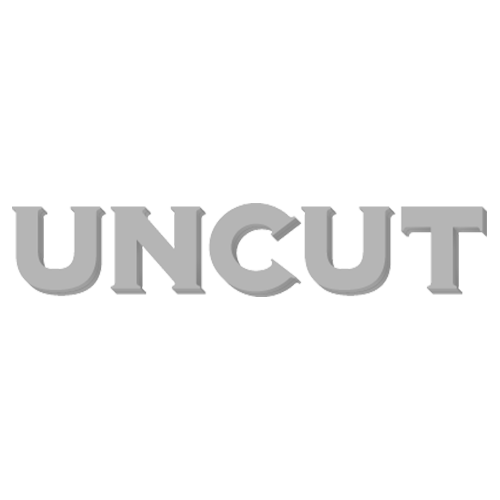 May comes round again, and with it another Great Escape, one of the year's most satisfying festivals – not only because of its setting in Brighton's many beautiful venues, but because we at Uncut are again putting on our own three nights of some of the most interesting new bands around. May comes round again, and with it another Great Escape, one of the year’s most satisfying festivals – not only because of its setting in Brighton’s many beautiful venues, but because we at Uncut are again putting on our own three nights of some of the most interesting new bands around. First up on Thursday, the first night of the festival, come The Sheepdogs, literally packing out the Pavilion Theatre after their recent Rolling Stone cover. Like Neil Young, the group are Canadians in thrall to the United States’ musical heritage, in The Sheepdogs’ case, that’s Southern rock, and its AM radio harmonies, chugging riffs and dual guitar solos. It would be tempting to suggest the band are merely pure pastiche, throwbacks to the early ’70s, but the very hairy Sheepdogs do have other qualities on their side – most notably, their super-tight interplay and frontman Ewan Currie, the group’s flexible lead singer, lead guitarist and spokesperson. Willy Mason, next on, goes for a neater, less hairier style: a dark suit, short haircut and white shirt. After all, the boy wonder of last-decade US folk is a lot older now, and it’s been over five years since his last album, second effort When The Ocean Gets Rough. Age does mean that Mason, owner of a gruff, burr-y voice, has finally grown into his dulcet tones, no longer looking like the lost boy inhabited by the ghost of his grandfather. The singer-songwriter, performing solo, adds to The Sheepdogs’ large crowd, even receiving some impromptu backing vocals from the audience on ‘Save Myself’. The few new songs he previews tonight don’t seem to have moved on from his previous work, though, a relief or cause for concern depending on your point of view – for us, it’s a good thing that Mason hasn’t travelled too far away from his innocent chronicles of emotional and physical journeying. Toy, a strange proposition, follow. Physically resembling The Horrors, with even longer hair and Paisley-er shirts, the five-piece (pictured above) mine the direction the Southend quintet took on their career high, ‘Sea Within A Sea’, to its motorik extreme. Which is all well and good – The Horrors are now pursuing a looser, baggier sound, and Toy’s ‘Left Myself Behind’, released as their debut single earlier in the year, is a stunning seven-minute opus of pummelling kraut-pop – if it wasn’t for the band’s history: three of them are refugees from indie landfill also-rans Joe Lean & The Jing Jang Jong, and while we’d hate to begrudge anyone the chance to change their musical influences, it does make you wonder about their motivations. However, when the songs are as good as second single ‘Motoring’, though, a metronomic blast with an even more persuasive chorus and propulsive bass, it really does seem churlish to question their commitment to their chosen style. Django Django are the final band on tonight, and draw a large crowd after their appearance on Later… Live With Jools Holland earlier this week. Their performance on the show wasn’t their greatest hour, as their brittle, intentionally thin sound definitely suffered from the clean, clear mixing in the TV studio. Onstage, though, with the sound more distorted, echoed and muffled, the four-piece’s starched, precise songs are better served. Infused equally with synth-pop burblings courtesy of Trevor Horn-resembling geek Tommy Grace and early rock’n’roll twang from singer and guitarist Vincent Neff, the group perhaps sound most like The Beta Band (funny that, considering drummer David Maclean’s older brother is the Beta’s John Maclean) or even Simian at times. After ‘Introduction’ and ‘Hail Bop’, the greatest showcase for the band’s intuitive and spot-on harmonies, something goes wrong with the group’s sampler, necessitating a five-minute halt while Grace fumbles around with leads. Such is the goodwill towards the group, though, the crowd give an even bigger reception to the almost-dubby ‘Waveforms’ once it does finally begin. Almost dubby in feel, and dotted with guttural synth oscillations, it’s the highlight of Django Django’s slot. By the time their set draws to a close, with ‘Default’, the song they performed on Later…, near the end, large sections of the crowd are dancing, hands in the air, as if they’re at a rave gig – such is the ecstatic mood generated by the group’s intoxicating rhythms and keyboard loops. “We’re playing tomorrow,” says Neff at the end, “so come and see us!” You get the feeling a lot of tonight’s audience will do just that. Do come back tomorrow for the full report on Club Uncut’s Friday night at The Great Escape.